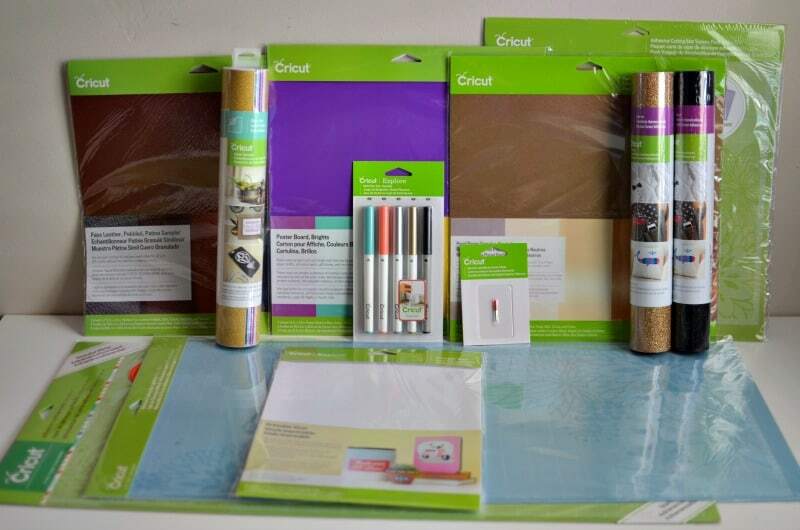 I’ve partnered with Cricut and joined up with 22 bloggers to bring you tons of fall craft ideas, plus a giveaway from Cricut too! 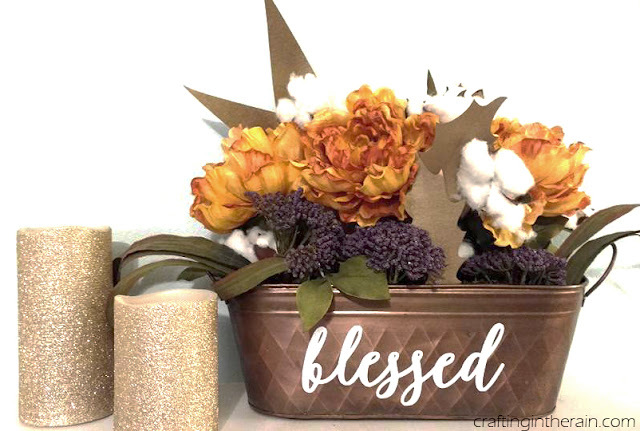 I made a fall flower arrangement and added a couple of special touches with my Cricut. Choose the word you want on the side of your container. 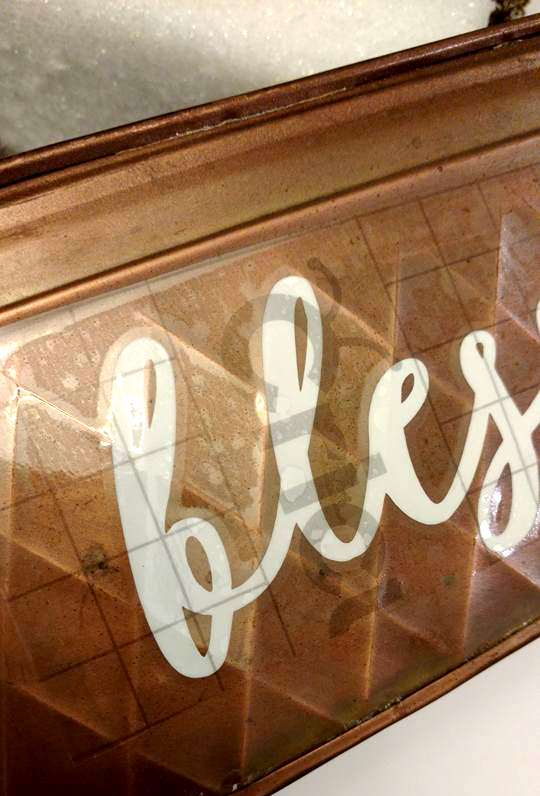 I found an image of the word “blessed” that I put into Design Space and cut out. You could also use any font of your choice. 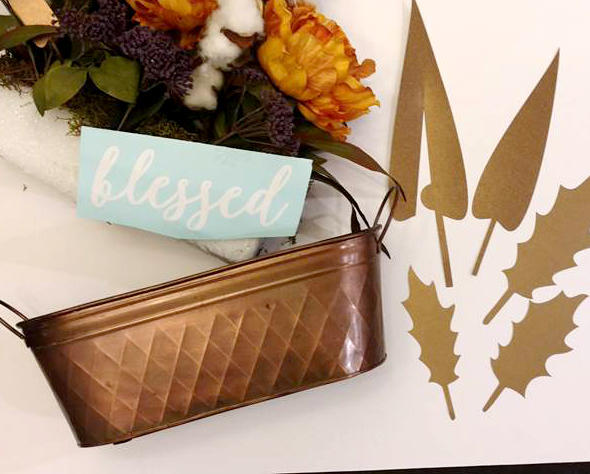 Other good word options for fall would be “thankful” “gather” “bounty” “together” “autumn” etc. Use transfer tape to apply it to the side. 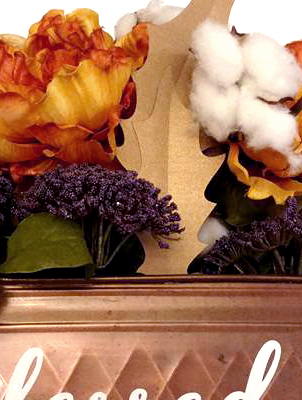 Set foam in the container and press wire stems of fake flowers in the foam to hold them in place. Cut pearl paper into a few leaf shapes about 6 inches tall. Add them to the arrangement. So easy to have a totally custom centerpiece, right? 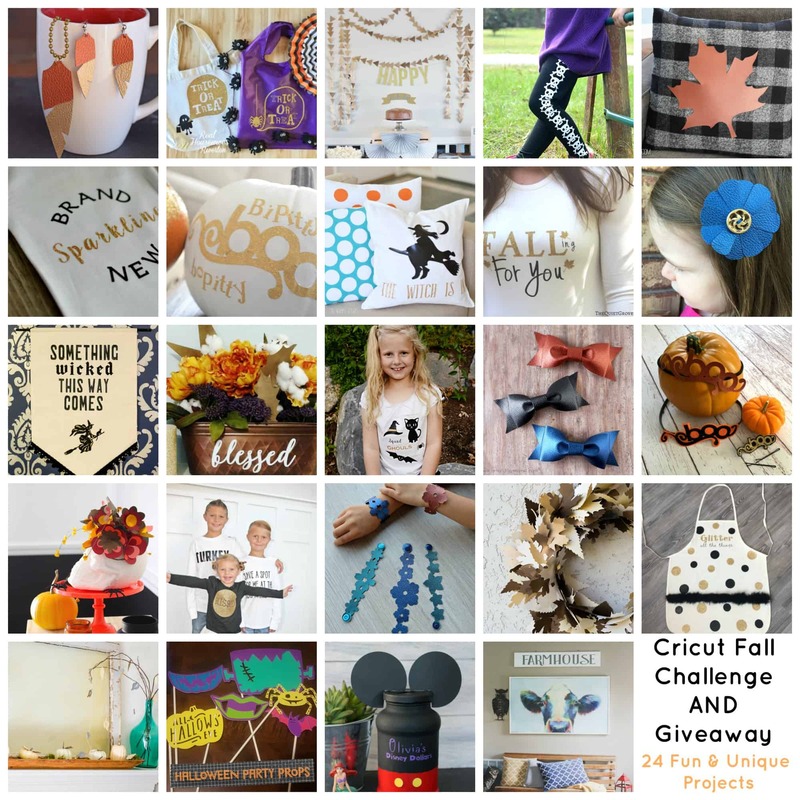 Now I’d love for you to check out all the clever fall crafts my friends have made here – and be sure to enter the giveaway at the bottom of the post too! Very pretty! I picked up a similiar container at Target last year, so now I have a plan for it! LOL! It was fun doing the Fall Challenge with you! I have a few similar containers in the attic. I like the thought of adding a saying to them.